If you have a family member who suffers from diabetes, you know how dry their skin is.My mother is a diabetic, and I was on the verge of becoming one myself. 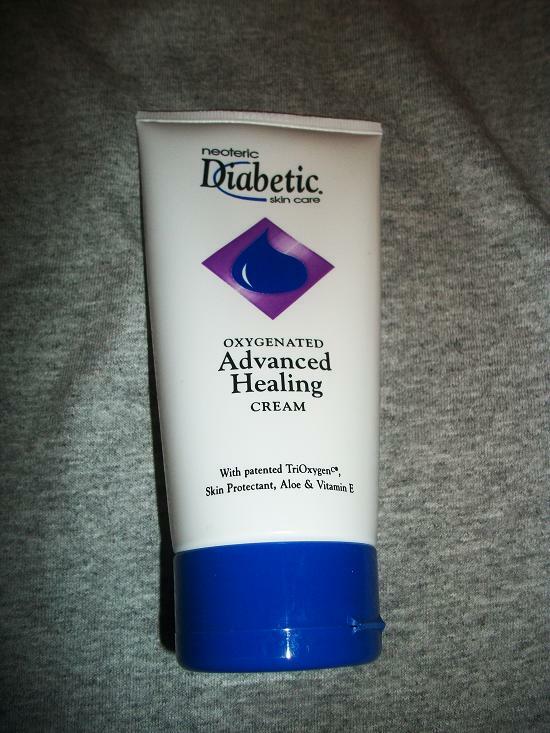 Neoteric Cosmetics sells this wonderful oxygenated advanced healing cream, perfect for those with diabetes and/or difficult dry skin. My mother and I both tested out this product. She claimed that it made her hands and feet feel a lot smoother. The cream absorbs fairly quick. I normally hate lotion. Yes, weird for a woman to say that, I know! It's because I don't like the feel of lotion... It's usually super greasy. 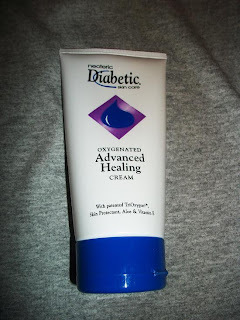 Neoteric Diabetic Advanced Healing Cream consistently outranks the leading doctor recommended moisturizer in diabetic preferences. Maximum Oxygenated treatment speeds healing, restores and protect chronic severely dry, damaged skin. This cream is for those with severely dry, rough, damaged skin. It's for use on the feet, hands, fingertips, elbows, legs, and knees. Uses: Helps prevent and temporarily protect chafed, chapped, cracked, or wind burned skin. I'll have to share this with my mother, who is diabetic.